Recently, prestigious medical journals from around the world have defined an amazing and unexpected breadth of properties in common culinary herbs and spices. As a devout foodie and natural health researcher, this is very exciting news! However, these intriguing findings will only have meaningful influence if we spread the good news. So, have a look at the following summary of studies and, if interested, dig deeper by clicking on the links at the bottom of the column. Then, share what you’ve learned and report back with your own personal experiences. When cooking chicken or lamb at home, we almost always include fresh rosemary to the recipe. Two new trials report that a supplement containing the powdered leaves of Rosmarinus officinalis may be a powerful adjunct for those trying to free themselves from opium addiction. A reduction in bone pain, insomnia and perspiration was noted in those taking rosemary, in addition to methadone, as opposed to a placebo. Also, inhaling the essential oil of R. officinalis has been shown to assist with the management of low blood pressure or hypotension. Another trial describes the success of an aromatherapy blend, containing basil, helichrysum and peppermint, in relieving symptoms of mental burnout and fatigue. 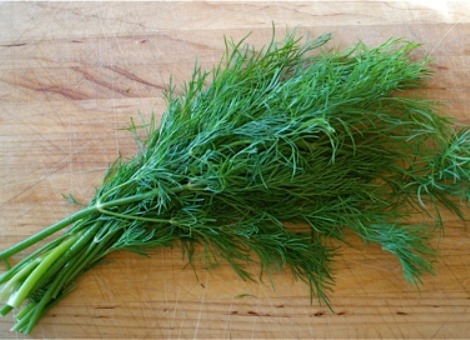 The next time you add dill to salmon, you might be interested to know that this “weed” was recently demonstrated as having the ability to reduce triglycerides, a form of blood fat that can increase cardiovascular risk. Finally, cilantro (aka coriander) and ginger, likewise make current appearances in the medical literature. The trials in question reveal that cilantro essential oil is an effective antifungal agent when applied topically. Specifically, it may be useful in the eradication of tinea pedis, popularly known as “athlete’s foot”. In the case of ginger, a study appearing in the December 2013 issue of the Journal of Holistic Nursing, reports that a ginger compress “relieves symptoms, improves the overall health, and increases independence of people with chronic osteoarthritis”. All of this is to say that just because a food or seasoning has a pleasant aroma or taste, doesn’t mean it shouldn’t be taken seriously as a natural medicine. Nutr Hosp. 2014 Nov 1;30(5):1084-91. Impact of cooked functional meat enriched with omega-3 fatty acids and rosemary extract on inflammatory and oxidative status; a randomised, double-blind, crossover study. BACKGROUND & AIM: n-3 fatty acid intake has been associated with inflammatory benefits in cardiovascular disease (CVD). Functionalising meat may be of great interest. The aim of the present study was to assess the effect of functional meat containing n-3 and rosemary extract on inflammatory and oxidative status markers in subjects with risk for CVD. METHODS AND RESULTS: A randomised, double-blind, cross-over study was undertaken to compare the effects on the above markers of consuming functional or control meat products. 43 volunteers with at least two lipid profile variables showing risk for CVD were randomly assigned to receive functional meat (FM) or control meat (CM) over 12-weeks with a 4-week wash-out interval before crossover. Functional effects were assessed by examining lipid profile, CRP, PAI-1, TNF-alpha, IL-6, fibrinogen (inflammatory markers), and TBARS, FRAP and 8-iso-PGF2 (oxidative status markers). 33 subjects (24 women) aged 50.7±8.8 years completed the study. In FM treatment, PAI-1, fibrinogen and 8-iso-PGF2 decreased significantly after 12 weeks, while FRAP significantly increased. In contrast, in CM treatment, a significant increase was seen in PAI-1, while FRAP significantly declined. Significant differences were also seen between the FM and CM treatments after 12 weeks in terms of the change observed in PAI-1, FRAP and 8-iso-PGF2 values. No significant differences were seen in anthropometric variables nor were adverse effects reported. CONCLUSION: The consumption of FM containing n-3 and rosemary extract improved oxidative and inflammatory status of people with at least two lipid profile variables showing risk for CVD. The inclusion of such functional meat in a balanced diet might be a healthy lifestyle option. Iran Red Crescent Med J. 2016 Jan 2;18(1):e20759. Effects of Coriandrum sativum Syrup on Migraine: A Randomized, Triple-Blind, Placebo-Controlled Trial. BACKGROUND: Migraine is one of the most common and debilitating neurological problems. Although numerous preventive drugs are used to treat migraine, their complications are unavoidable. Application of herbal medicine, especially well-known medicinal plants, to treatment of chronic diseases, like migraine, could be effective. Coriandrum sativum L. (C. sativum) fruit is one of the most commonly prescribed herbs in Persian medicine, which has been used to treat headache. OBJECTIVES: This study was designed to evaluate the effects of C. sativum syrup on duration, severity and frequency of migraine. PATIENTS AND METHODS: A total of 68 migraineurs, who had the eligibility criteria, according to international headache society diagnostic criteria, were randomly assigned to intervention group (n = 34) or control group (n = 34). In addition to 500 mg of sodium valproate per day, in intervention group, they received 15 mL of Coriander fruit syrup and 15 mL of placebo syrup, in control group, three times a day, during a month. The subjects were followed for clinical efficacy at weeks 1, 2, 3 and 4. The number of migraine attacks per week, as well as the duration and severity of attacks, were evaluated. RESULTS: Of 68 patients randomized, 66 were included in analysis. 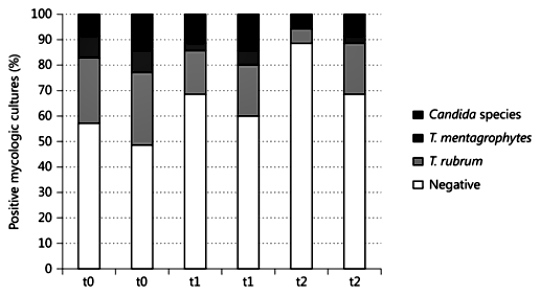 The generalized estimating equations analysis showed that the Coriander fruit syrup decreased duration, severity and frequency of migraine, in the intervention group (P < 0.001). To be more precise, the mean migraine duration, severity and frequency, in the intervention group, were 5.7 hours, 3.65 units and about 50% less than control group, respectively. CONCLUSIONS: Results of this study showed that C. sativum fruit is efficient in reduction of the duration and frequency of migraine attacks and in diminishing pain degree. Rosemary Extract as a Potential Anti-Hyperglycemic Agent: Current Evidence and Future Perspectives. Type 2 diabetes mellitus (T2DM), a disease on the rise and with huge economic burden to health care systems around the globe, results from defects in insulin action (termed insulin resistance) combined with impaired insulin secretion. Current methods of prevention and treatments for insulin resistance and T2DM are lacking in number and efficacy and, therefore, there is a need for new preventative measures and targeted therapies. In recent years, chemicals found in plants/herbs have attracted attention for their use as functional foods or nutraceuticals for preventing and treating insulin resistance and T2DM. Rosemary is an evergreen shrub indigenous to the Mediterranean region and South America, which contains various polyphenols. Rosemary extract and its polyphenolic constituents have been reported to have antioxidant, anti-inflammatory, anticancer, and anti-hyperglycemic properties. The current review summarizes the existing in vitro and in vivo studies examining the anti-diabetic effects of rosemary extract and its polyphenolic components and highlights the known mechanism of action.